Here are 2 super-wacky fun "Batman-themed" Wallpapers you may use to brighten your desktop! They were created by me using some amazing photos sent in to us by our good buddy, BatDave. 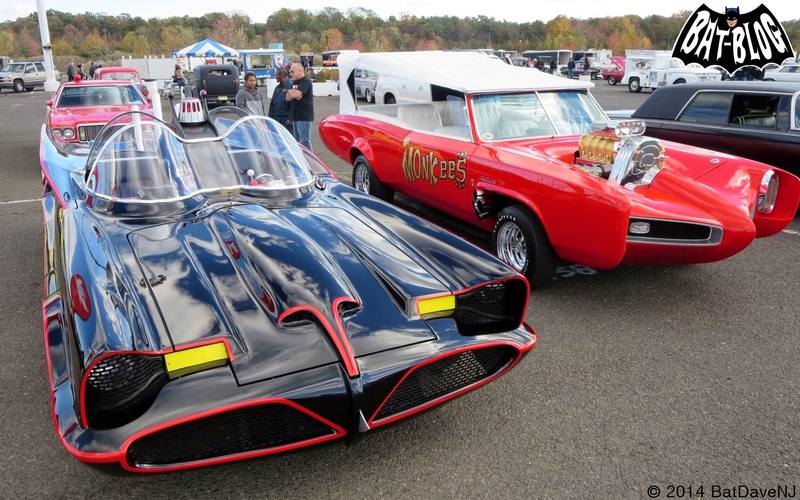 He went to an event in New Jersey where they had a drag race between the 1966 Batmobile TV Car and the Monkeemobile! Oh yeah, and that's our buddy Benjy dressed-up as the Penguin, waak waak waak! 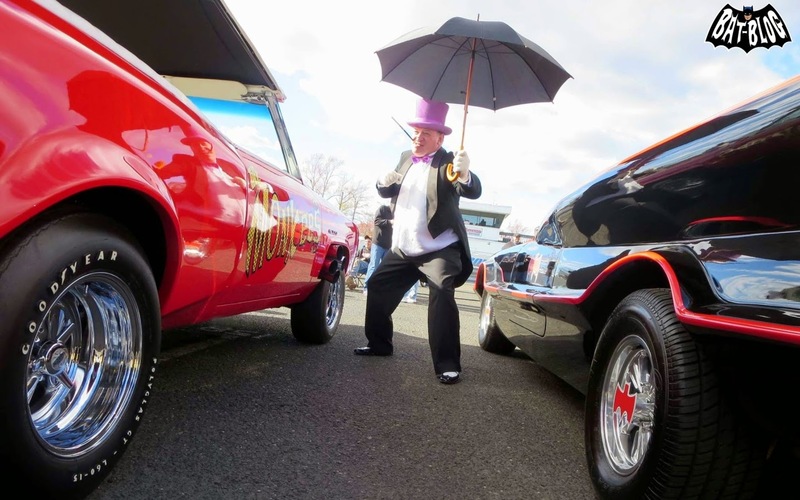 Please STAY TUNED TO THE BAT-BLOG because we will be featuring some video footage of this epic car race and you're not going to want to miss it!